KLIA Transit have unveiled the first of six new train sets due to enter service with Express Rail Link (ERL) in the next few months. 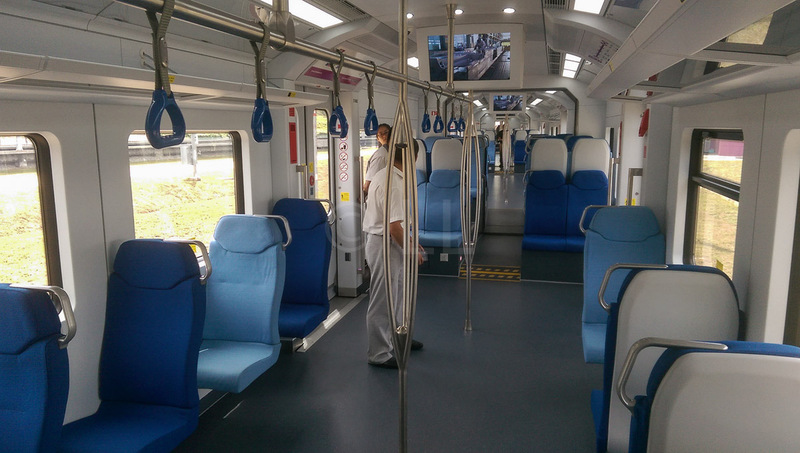 Four of the units, including the one unveiled on 20th October will be used to add to the KLIA Transit service, which offers connection to travellers and commuters en-route between Kuala Lumpur Sentral Station and Kuala Lumpur International Airport/klia2. Passengers may join the train at Bandar Tasik Selatan, Putrajaya & Cyberjaya or Salak Tinggi. The other two trains will further expand the KLIA Ekspres service. While the first generation railcars in the system were supplied by Siemens, these second generation train sets have been manufactured by China’s Changchun Railway Vehicles Company Limited (CRRC). 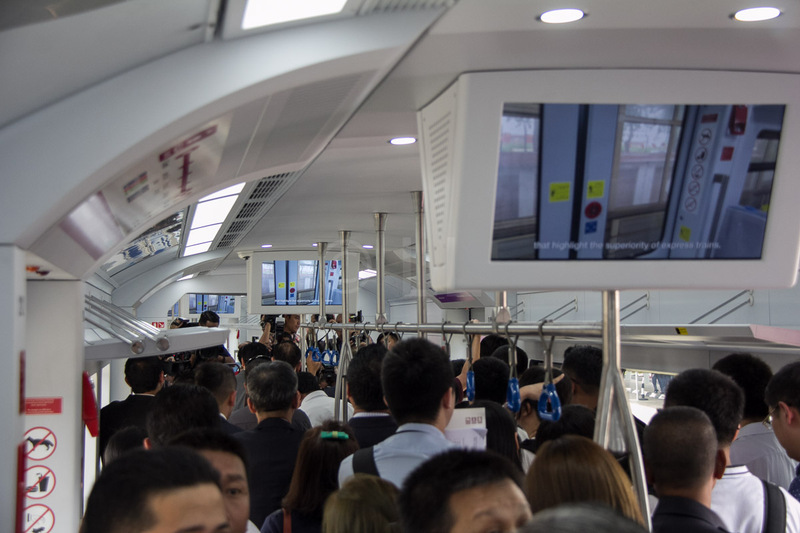 The six new four car trains are more spacious than the earlier model and come equipped with under-seat power sockets on some seats, hand holds for standing passengers, additional closed-circuit TV cameras, more effective air-conditioning and extra safety features. 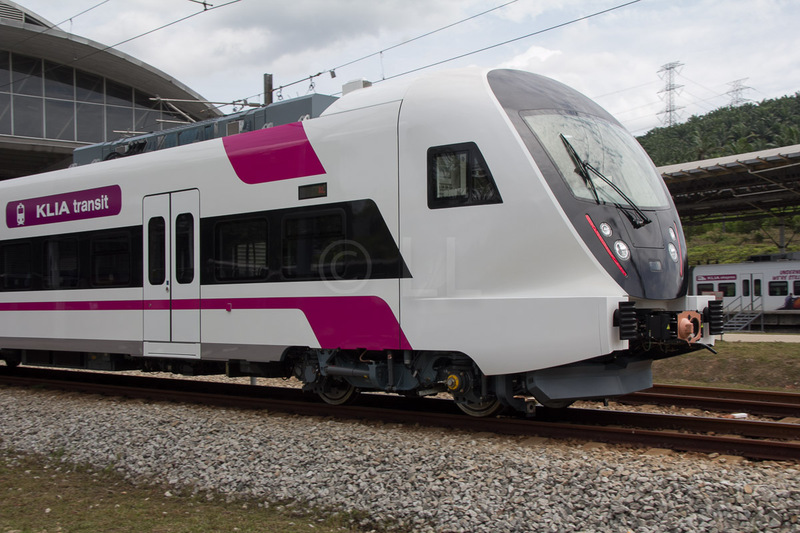 When the new trains enter service, the company expects to be able to increase frequency for the KLIA Transit from once every 30 minutes to 20 minutes during non-peak hours and from 20 minutes to 15 minutes during peak hours. The KLIA Express service will continue to run at 15 minute and 20 minute intervals during peak and non-peak hours. In welcoming the arrival of the new train sets, Transport Minister Liow Tiong Lai said they would enhance the urban public transport efficiency and service level. He also made mention of the connectivity of both the ERL services with other bus, commuter train (KTM), Light Rail Transport (LRT) and the three new MRT lines, the first of which runs between Sungei Buloh and Kajang. 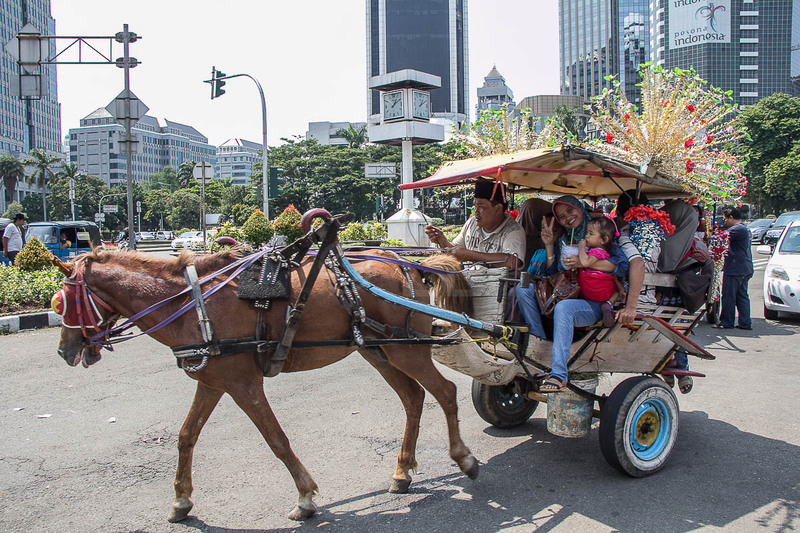 The Executive Chairman of Express Rail Link, Mohd Nadzmi Mohd Salleh indicated that the company intends to grow numbers with the additional services and will continue to offer attractive packages and ticketing options to customers. Check out their website for more information on KLIA Ekspres and KLIA Transit schedules and fares or to purchase tickets.